Lotus F1, in co-operation with Warner Bros. Pictures, has prepared a radical-looking proposal for an alternative Formula 1 future (above). 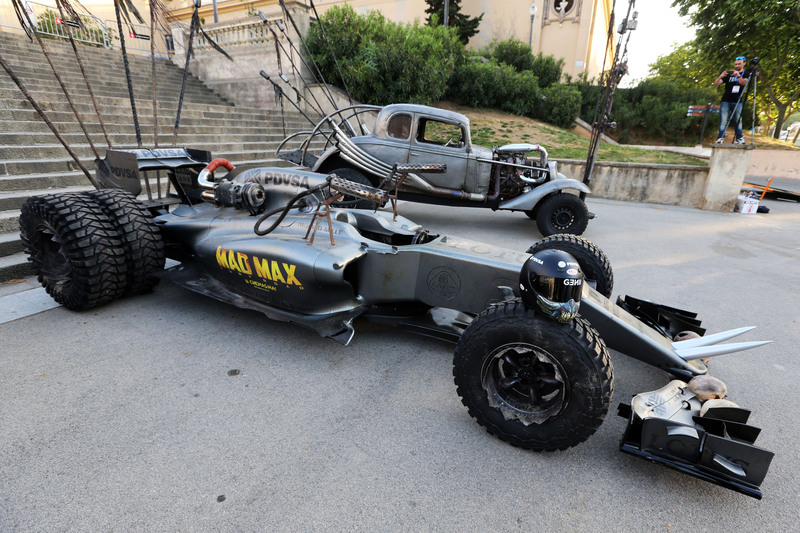 The vehicle – designated the Lotus F1 Team Mad Max Hybrid – is a fusion of Formula 1 technology reimagined for a post-apocalyptic future to coincide with the 15 May 2015 launch of the action adventure Mad Max: Fury Road, from Warner Bros. Pictures and Village Roadshow Pictures. More than a decade in the making, Mad Max: Fury Road is filmmaking mastermind George Miller’s keenly anticipated return to the post-apocalyptic world he created more than 30 years ago with the seminal Mad Max trilogy. 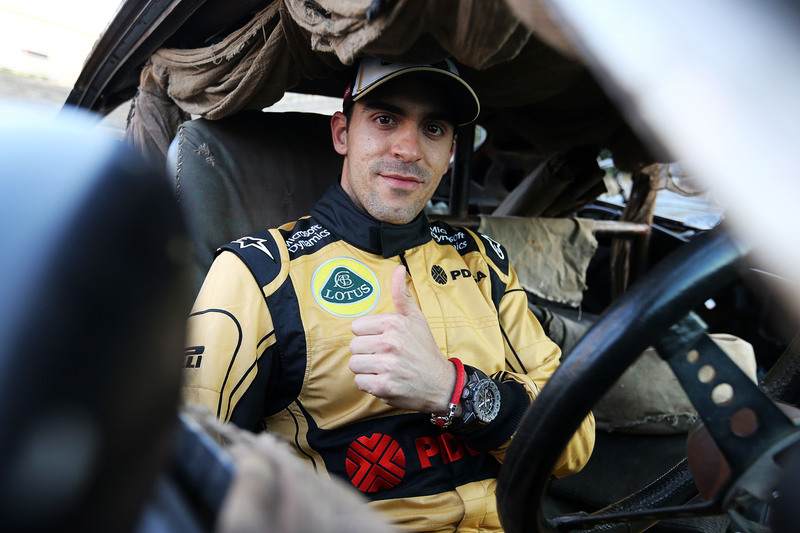 Fitted with special accessories and heavy modifications for a world gone mad, the Lotus F1 Team Mad Max Hybrid was unveiled at the Barcelona International Motor Show at the Montjuïc Exhibition Centre – at the same location for four Spanish Grand Prix between 1969-1975 – in Barcelona along with two custom, drivable vehicles designed and created for the film: Nux’s car and the iconic Mad Max Interceptor. 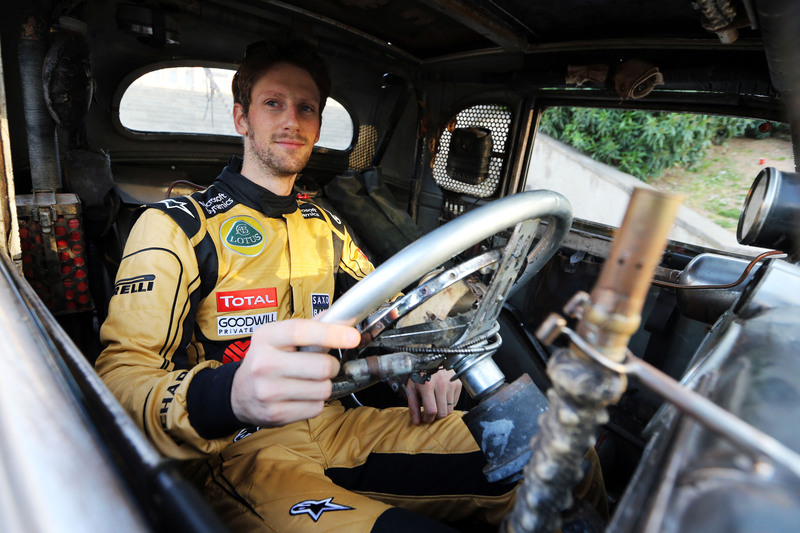 Accompanying the vehicles was Lotus F1 Team’s Romain Grosjean and Pastor Maldonado, both of whom drove Mad Max: Fury Road-branded cars in the Spanish Grand Prix.